Do Standardized Field Sobriety Tests Accurately Assess a Driver’s Mental and Physical Impairment? During a California DUI detection process, the officer screens (or tests) a driver prior to making an arrest decision. The pre-arrest screening phase starts out with the administration of the standardized field sobriety tests. These tests are said to be designed to assess a driver’s mental and physical impairment. The walk and turn test and one-leg stand test are considered to be divided-attention tests, requiring concentration on multiple tasks. These tasks are designed to simulate the same physical and mental tasks that are required for a person to safely drive a vehicle. A knowledgeable and experienced Southern California criminal defense attorney at Wallin & Klarich understands the apparent disconnect between a walk and turn test or one-leg stand test and a driver’s ability to safely operate a vehicle. Our attorneys know how to deal with police allegations of poor performance or failure of field sobriety tests. 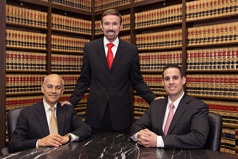 Wallin & Klarich is a large California Law Firm, with over 30 years of experience. We are centrally located in Orange County, California, with offices throughout Southern California. The firm boasts an AV rating from Martin Dale Hubble, the highest rating any law practice can obtain. Contact a skilled Orange County criminal defense attorney from Wallin & Klarich for a free consultation at 1-888-280-6839. Also, visit us online at www.wklaw.com to learn more about your case and what can be done.